1. An elusive ancestor I found was 5th great grandfather, Oliver Davenport. 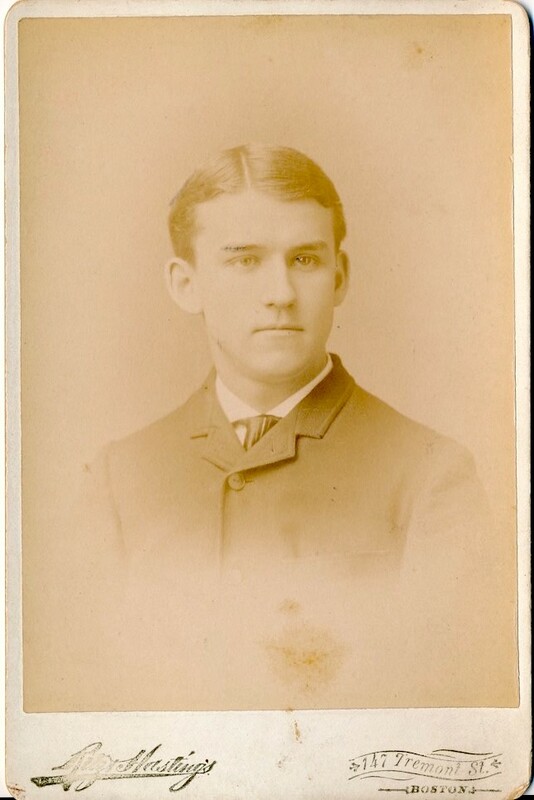 See Surname Saturday ~ Davenport of Massachusetts and Rhode Island. 2. A great newspaper article I found was in the Louisville (Ky.) Courier-Journal which mentioned my paternal grandparents before they were married. 3. A geneajourney I took was visiting Pittsburgh at the end of August for the FGS (Federation of Genealogical Societies) Conference, where I visited a couple of cemeteries, finding many of my maternal ancestors, as well as visiting the house my mother grew up in. 4. An important record I found was a marriage record for my 7th great-grandparents (John Davenport and Hannah Warren) from the Massachusetts Town and Vital Records. As I noted in this blog post, it's very important to look at the original record, especially in this database. 5. A newly found family member shared information about her branch of the Pyle family. She descends from William Scott Pyle, the brother of my second great-grandfather, James Pyle. 6. A geneasurprise I received was the death certificates for my great-grandparents, Lowell Copeland and Ethel May (Greeley) Copeland. They died in Princeton, New Jersey, and a friend in a local genealogical society happened to be researching in New Jersey and obtained digital images of these for me. 7. My 2017 blog post that I was particularly proud of was this one where I had to share that the daguerreotype I received last year from my second cousin was not an Alcott. 8. I made many new genimates who participated over the summer in the Boston University Certificate Program in Genealogical Research (OL24) with me. 9. A new piece of technology I mastered was the new color-coding feature in the new version of Family Tree Maker. I will be blogging about the discovery it helped me make soon. 10. 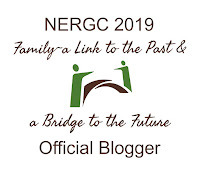 I joined the APG (Association of Professional Genealogists) and the NEAPG (New England Chapter of the Association of Professional Genealogists) after I completed the B.U. Certificate Program in Genealogical Research. 11. 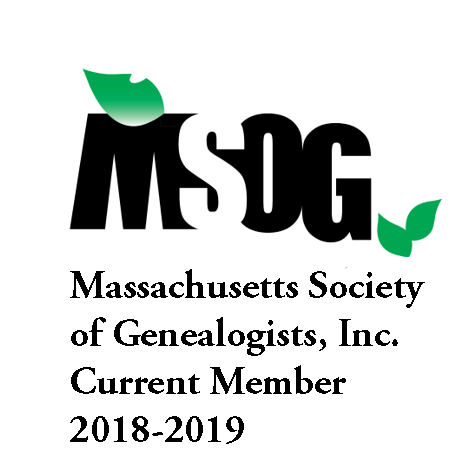 A genealogy event from which I learned something new was the FGS Conference in Pittsburgh in late August. (See #3.) I attended a few sessions with a Pennsylvania focus where I learned about resources specific to Pennsylvania. 12. Blog posts that taught me something new were posts about DNA. A new-to-me blog is The DNA Geek. My other favorite DNA blogs can be found at my DNA Resources page. 13. A DNA discovery I made was the amount of DNA each of my sons inherited from their four grandparents. Again, another blog post that needs to be written! 15. A great site I visited was Dead Fred, where I found a photograph of my great-grandfather, Lowell Copeland (at right). 16. A new genealogy/history book I will enjoy is Val Greenwood's The Researcher's Guide to American Genealogy. 4th Edition, which I received for Christmas and have yet to explore. 17. It was exciting to finally meet the many professional genealogists at the FGS conference (see #3) this summer. 18. I am excited for 2018 because I hope to have more time to research and blog about my more recent findings. I need to specifically set aside time for reading in 2018. Thanks for the comment. I’ve done my top 10 genealogical finds each year for the last 5 years or so. Sadly I’m having trouble coming up with 10 this year. I do need to explore Dead Fred - that will be a goal for 2018. Happy New Year! Debi, you should be proud that you post something wonderful every Sunday - I feel like I know your grandparents from those great scrapbooks you have! Thanks for participating in this challenge again this year Elizabeth. What a handsome young chap Lowell is - you must have been overjoyed to find that image. Jill, I thank you for providing us all with the opportunity to remember what successes we may have had in the previous year. And yes, it was exciting to find the image of my ggf!